Welcome to www.fjmfood.com, your number one source for ordering food online in Pakistan. We are dedicated to giving you the very best of foods and fast services. Our aim is to offer you the best services that show you that we really care. Food online is largely in practice nowadays. Restaurants are taking online orders for food with more dedication and focus due to the rise of internet usage. Fjmfood was founded in the year 2019 by FaisalMajeed, and it has come a long way from its beginnings for ordering food online in Sialkot and Gujranwala. With the ease of ordering food online almost every type (cuisine) of food is available to treat your hunger pangs. We strive to be innovative, offering our customers something they want on time and while sitting at home, we put our customer’s desires at the top of our priority list. Our online food services also provide a variety of food deals from a number of restaurants of many cities under one banner. Just browse the food you like and it is a click away to reach your door in a few minutes. You just need to search for the restaurants near you. Browse Hundreds of menus to find the food you like and place your order as per the given instructions with complete address details and wait for the time required for delivery. For online orders, most of the restaurants now come up with special deals and offer delivery at your doorstep. 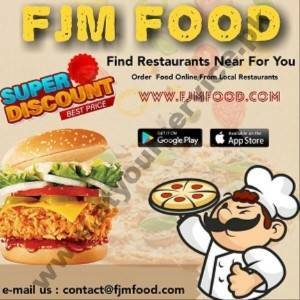 Fjmfood have also made this choice easy for ordering food online. For your convenience, fjmfoods accepts payments against your selected food via cash on delivery. We are providing order food online services throughout Pakistan. 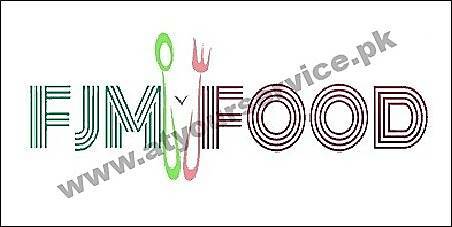 Fjmfood service is meant to deliver fresh and hot food at your doorstep. Our customers are our top priority and through our services, we work hard towards building long-lasting and meaningful relations with them. To find out how we can help you with needs, or if you have any questions or comments, please don't hesitate to contact us.